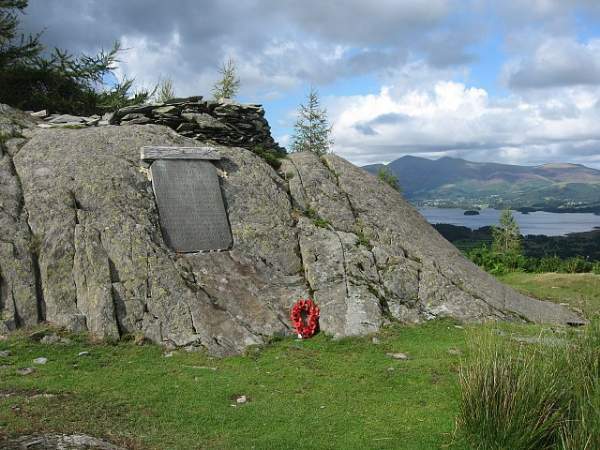 The war memorial on Castle Crag looking to Skiddaw and Derwentwater. Photo by Ann Bowker, 29 Aug 2006. 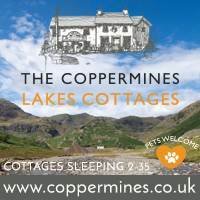 Memorial ceremony on Great Gable 2006. Photo by David Hall, 12 Nov 2006. In 1924 the Fell and Rock Climbing Club fixed a tablet to one of Great Gable’s summit rocks in memory of their members who were killed during the 1914 – 1918 war. 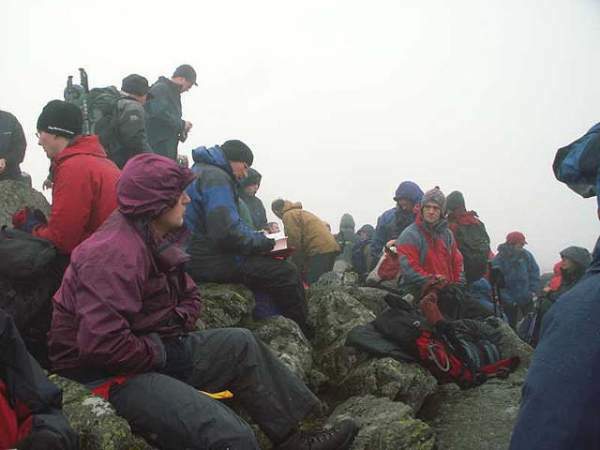 Every year a non-religious, non-denominational service is held on the summit which is attended by hundreds of fell walkers. 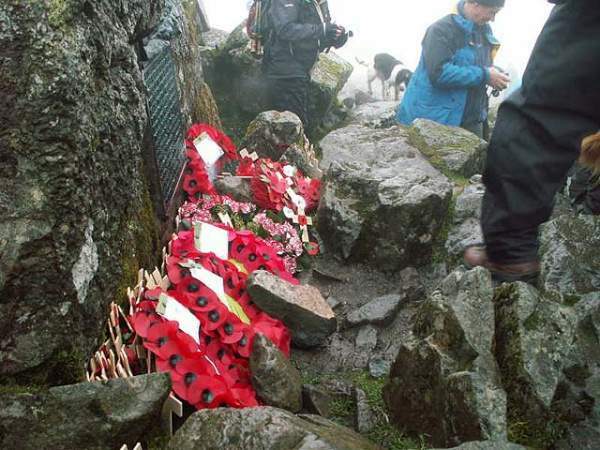 Wreaths and Poppies placed next to the FRCC plaque on Great Gable 2006. Photo by David Hall, 12 Nov 2006.